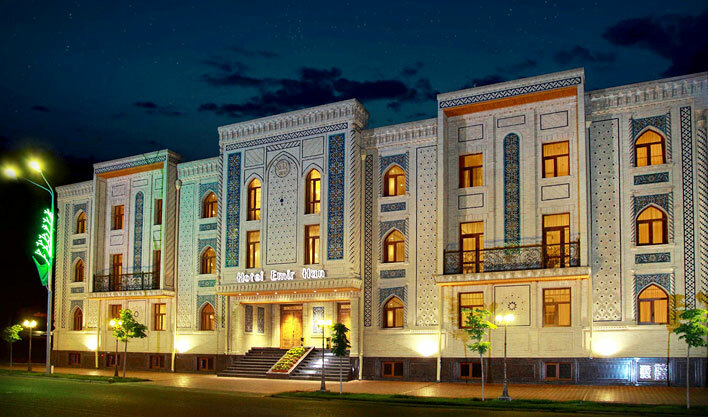 Hotel Emirkhan Samarkand, Uzbekistan. 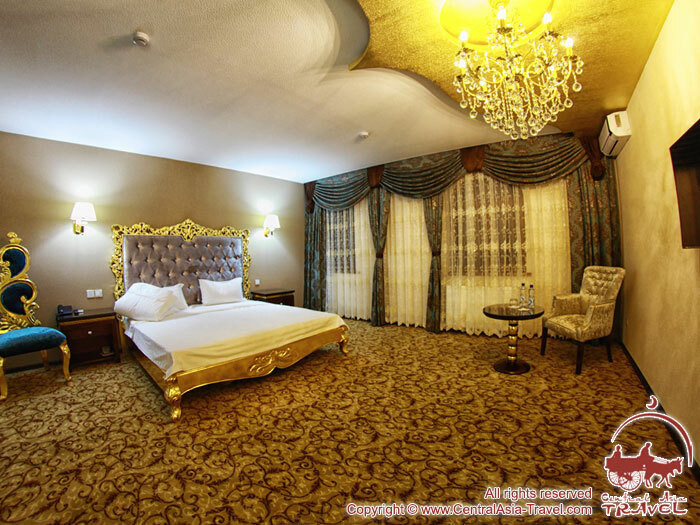 Hotel Booking. 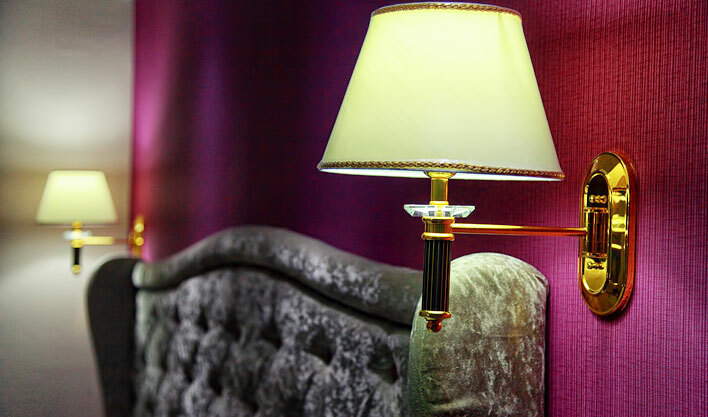 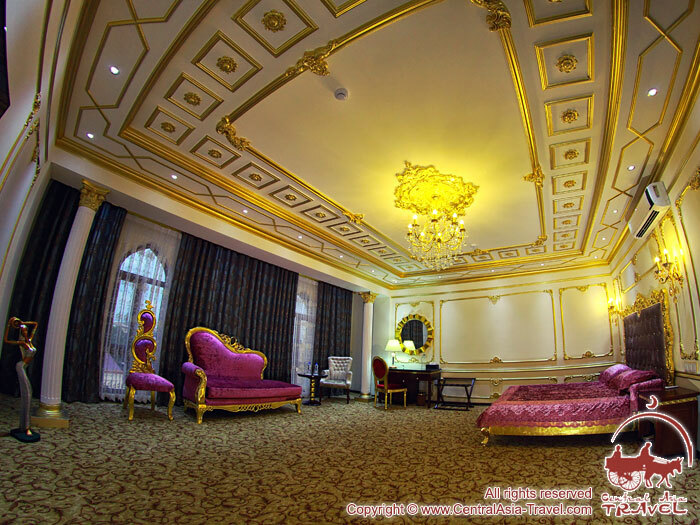 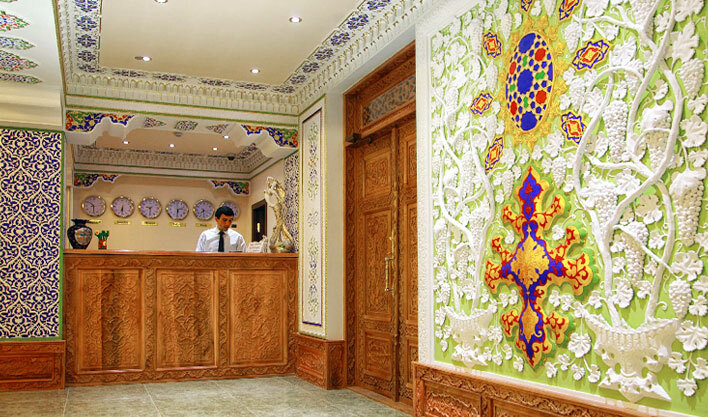 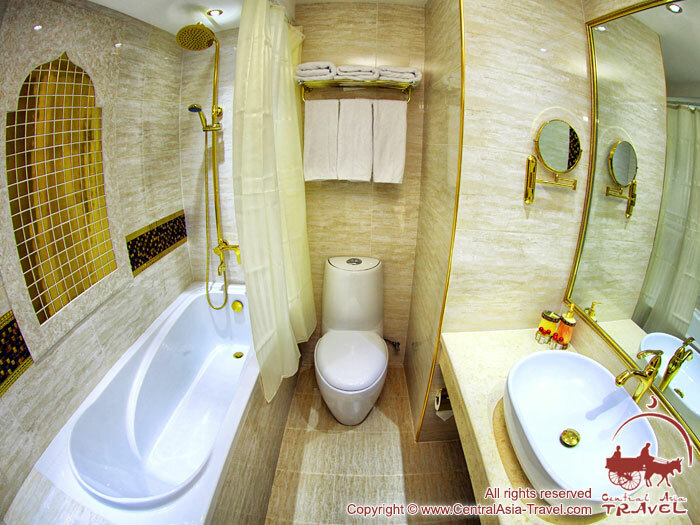 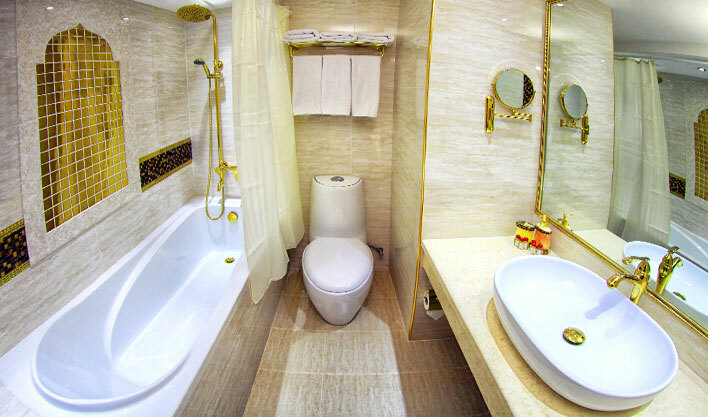 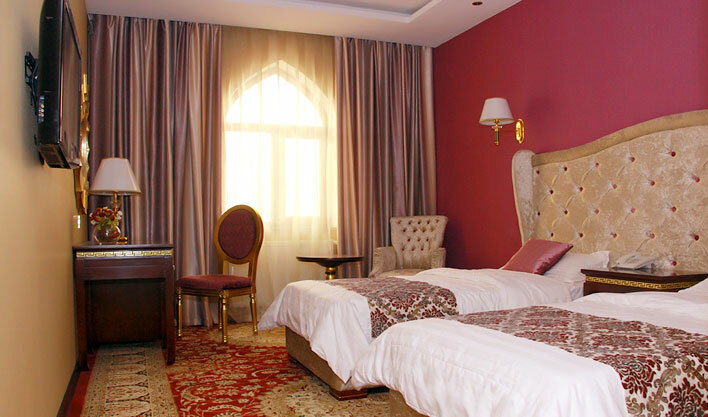 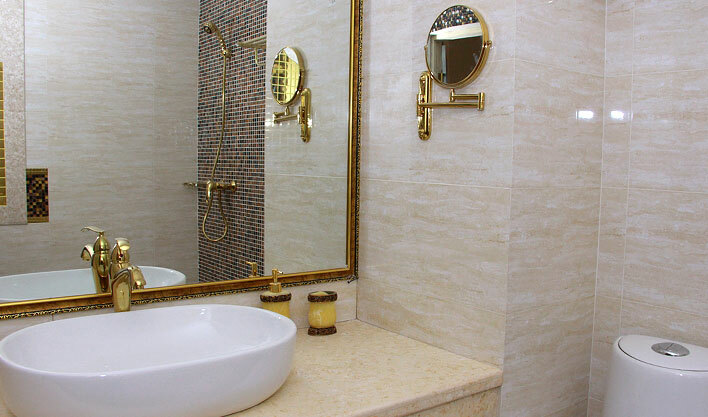 The design of the luxurious Emirkhan Hotel is a combination of warm oriental motifs and neo-classical elements. 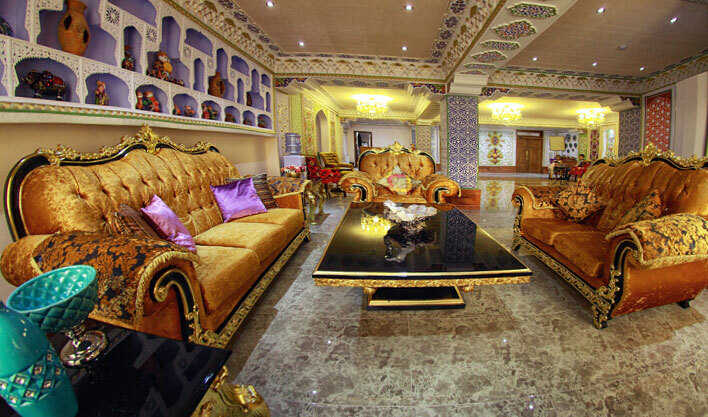 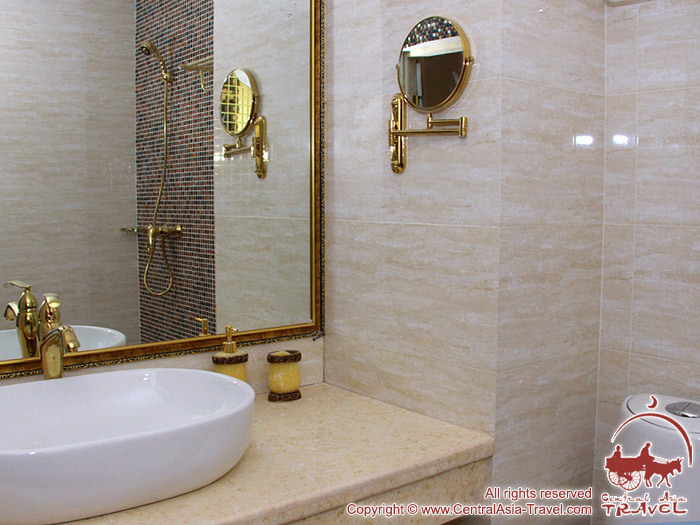 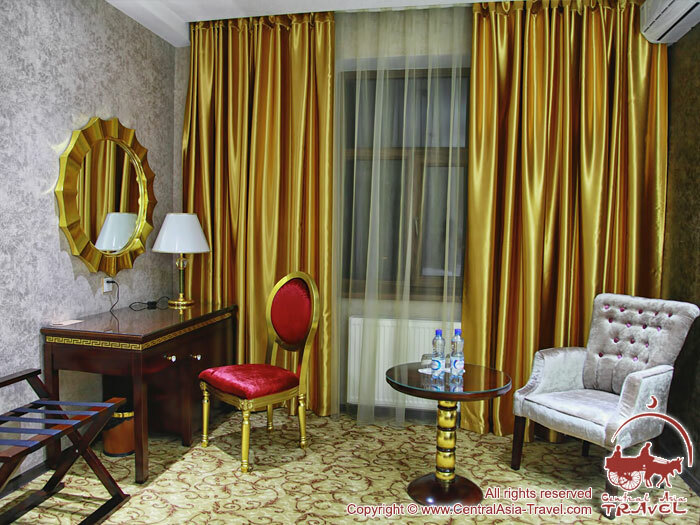 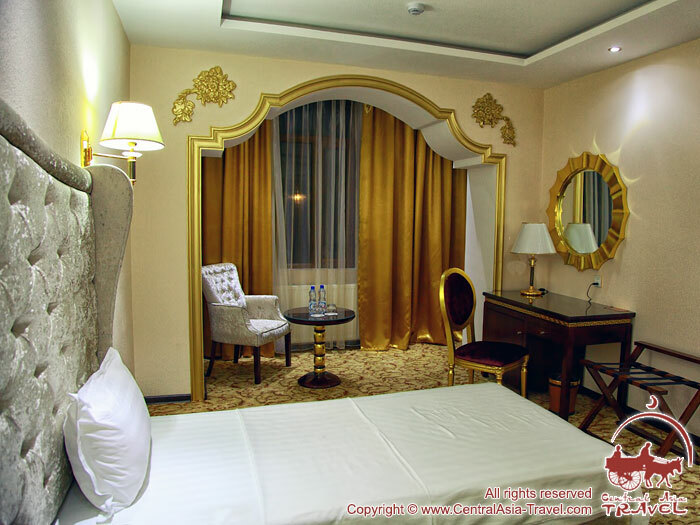 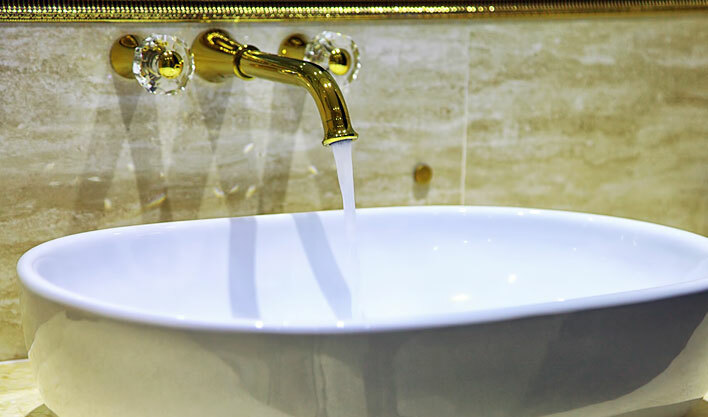 The infrastructure and location of the hotel are perfect for people on a business trip to Samarkand, as well as for those who travel as tourists. 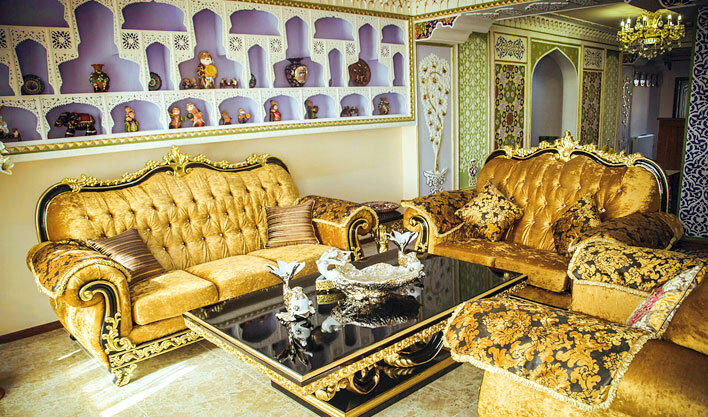 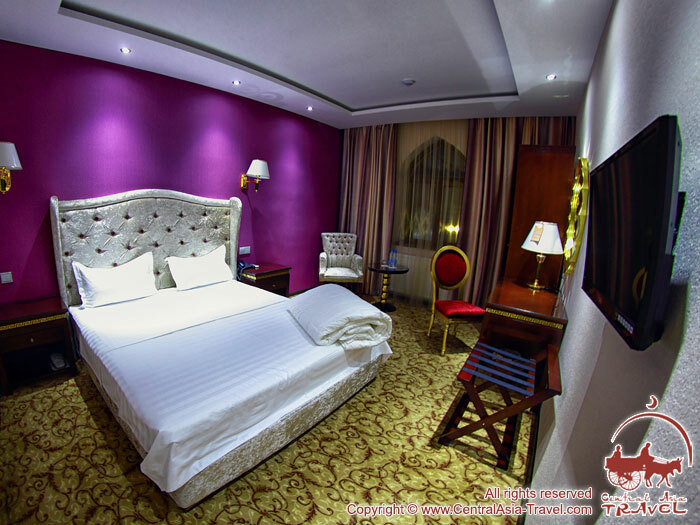 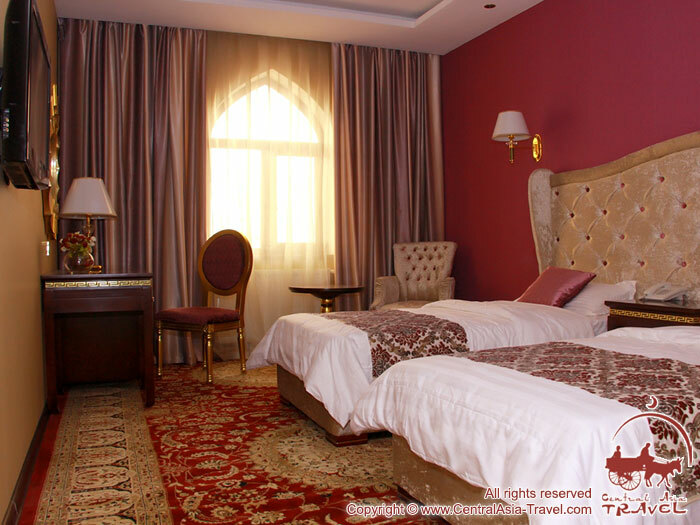 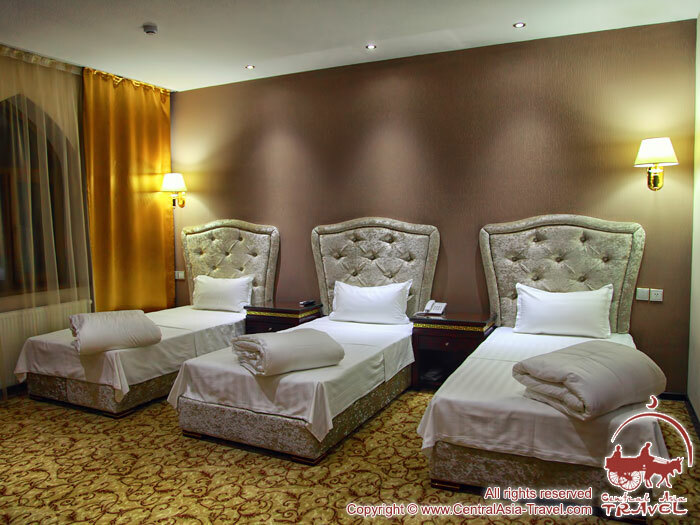 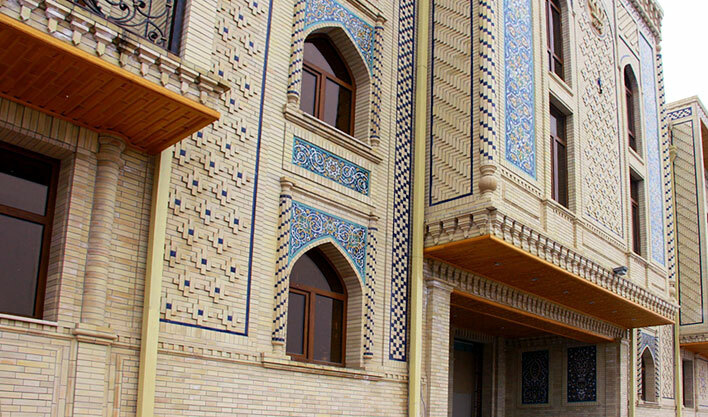 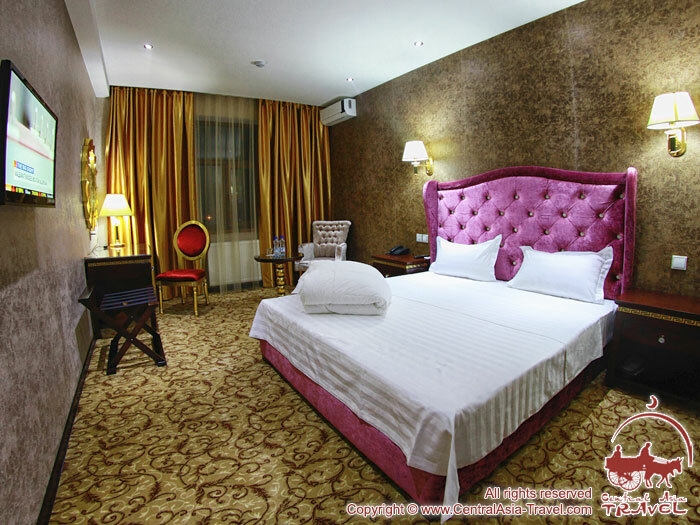 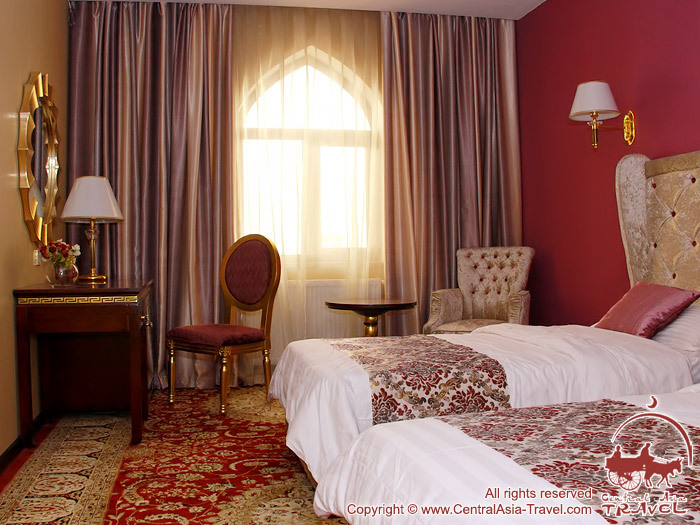 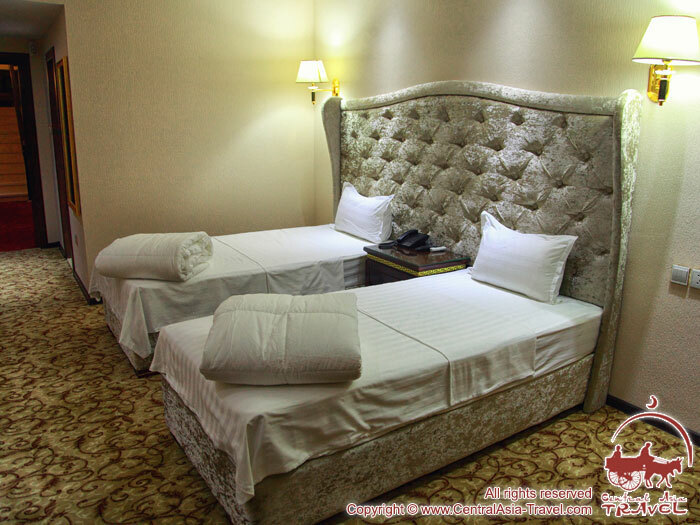 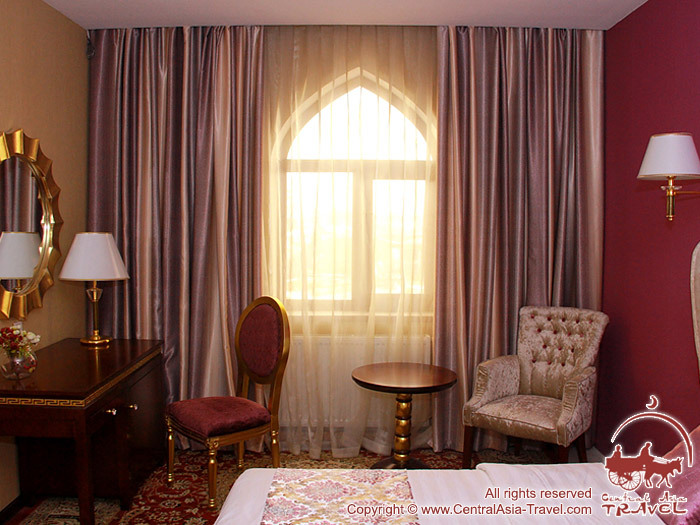 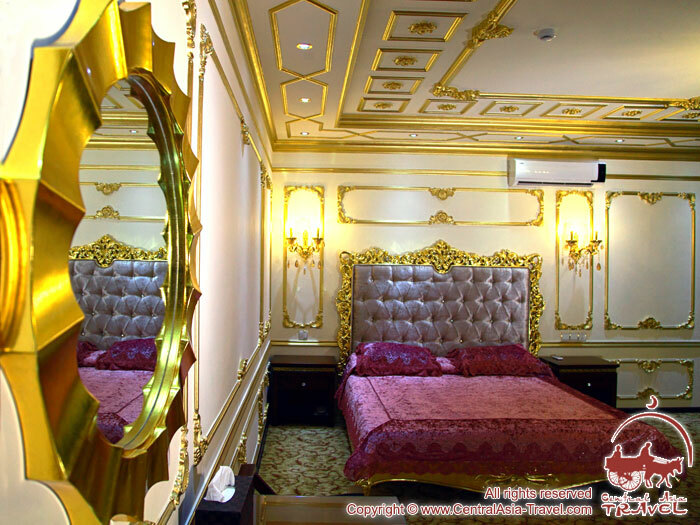 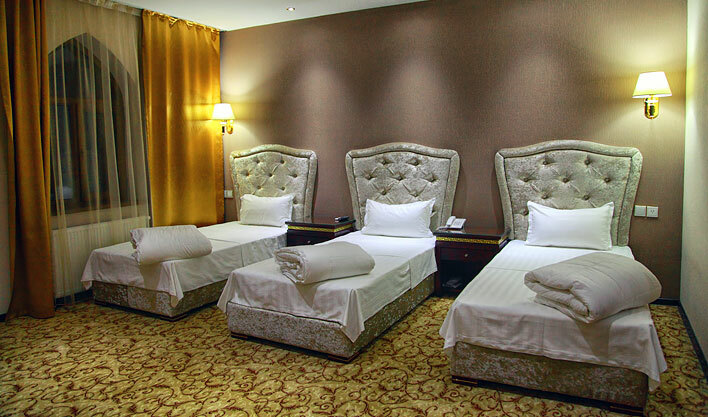 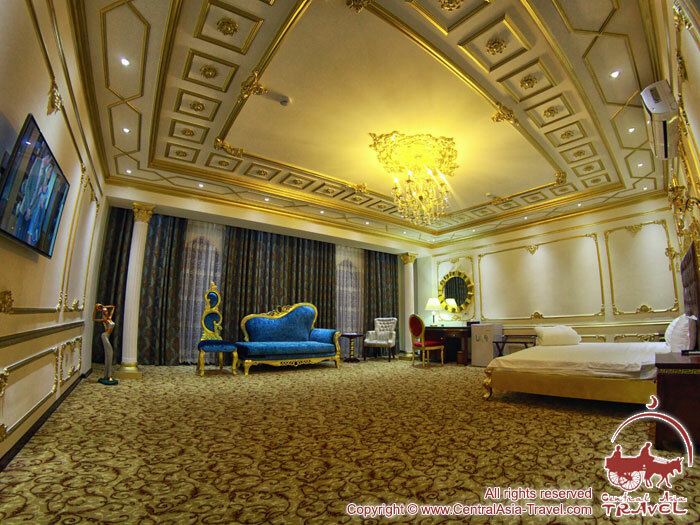 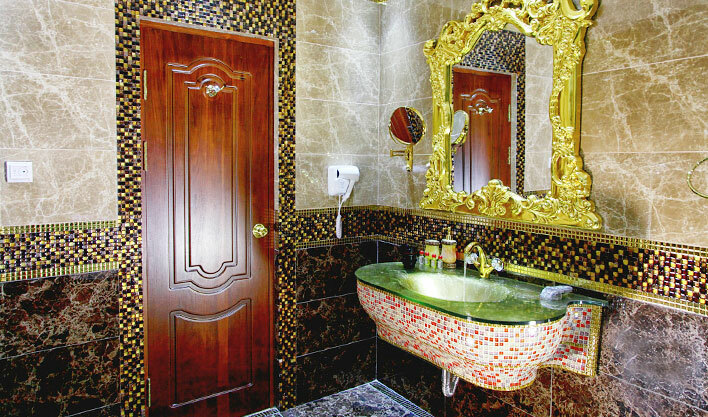 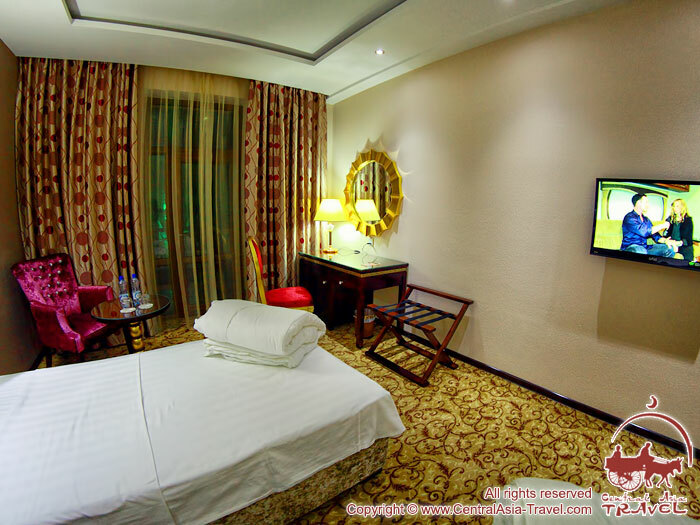 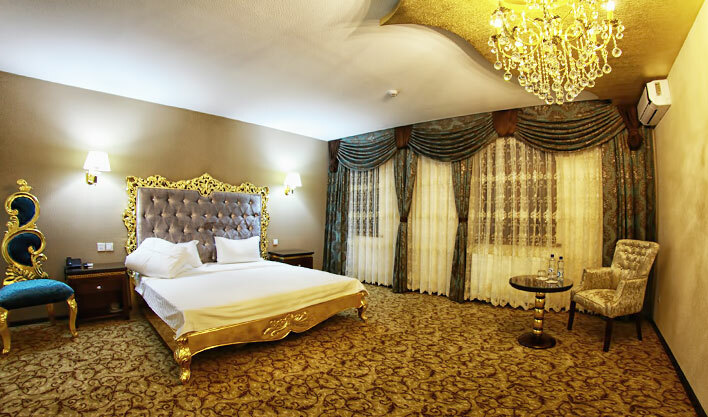 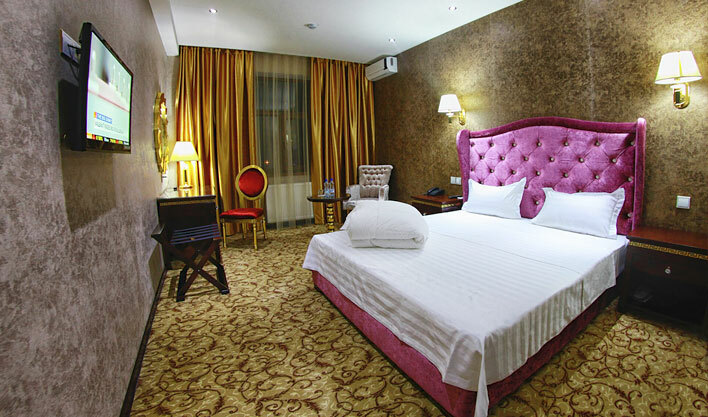 Emirkan Hotel is situated not far from the Samarkand international airport – 4.2 km, while the city’s administrative centre, the Registan Square and a number of other Samarkand’s places of interest are about two times as near. 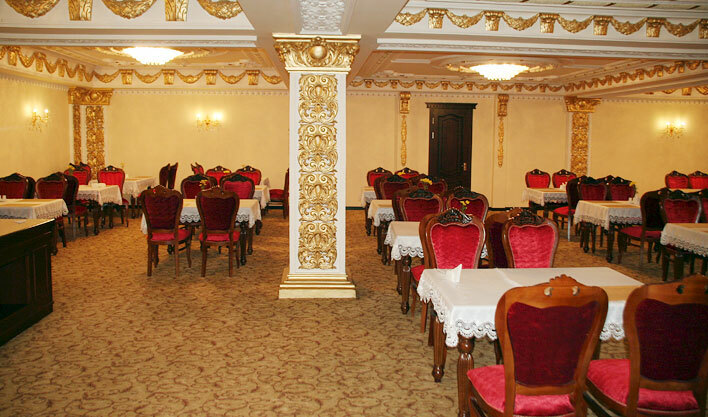 • 2 restaurants. 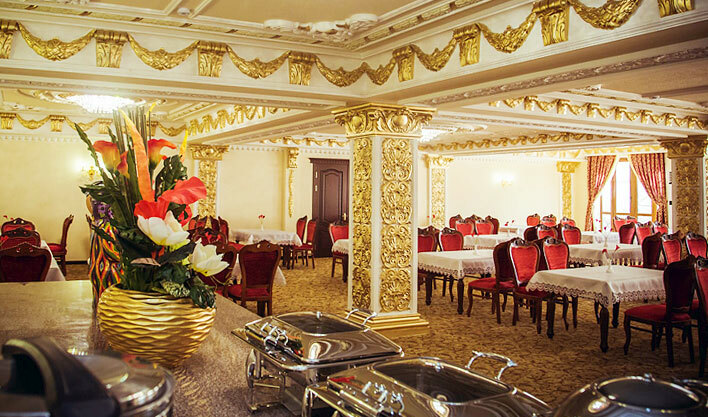 One of the restaurants gives a wonderful panorama of the city and its main historical monuments, while the other is distinguished by a fine interior decorated in the French style. 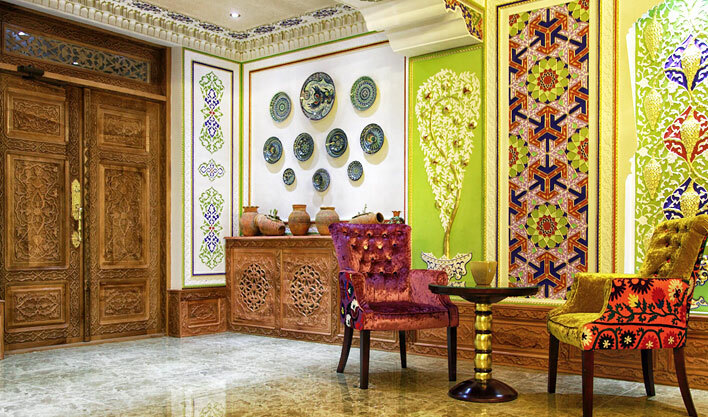 Each restaurant employs a highly professional chef creating masterpieces of the local and European cuisines. 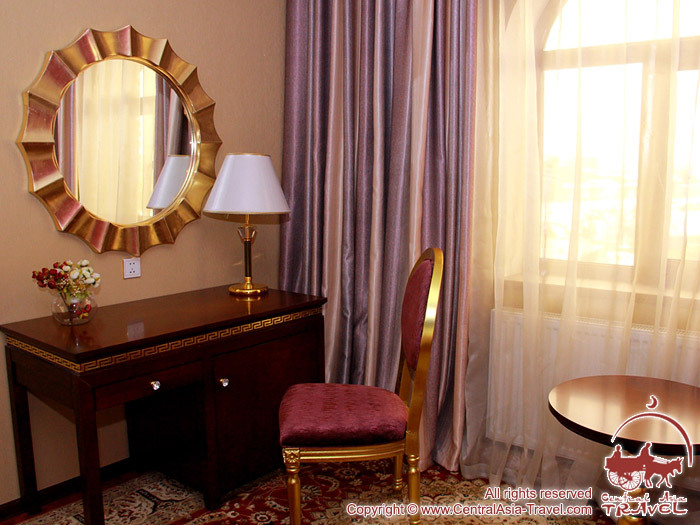 • A summer café with tables around a beautiful pool is perfect for those liking to spend their time in the open air. 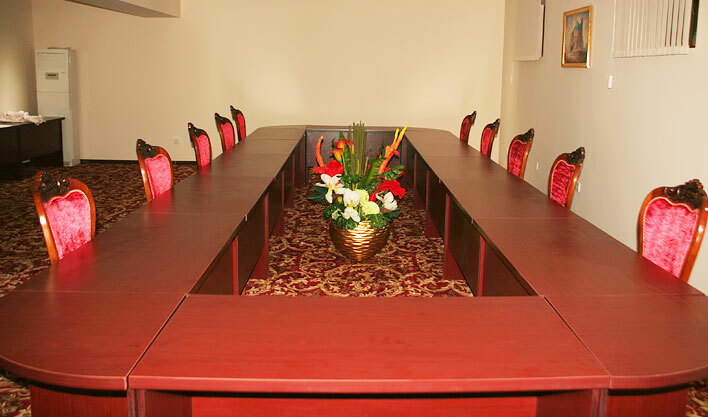 • A conference hall for 50 persons provided with the most up-to-date equipment makes it possible to hold business conferences at different levels. 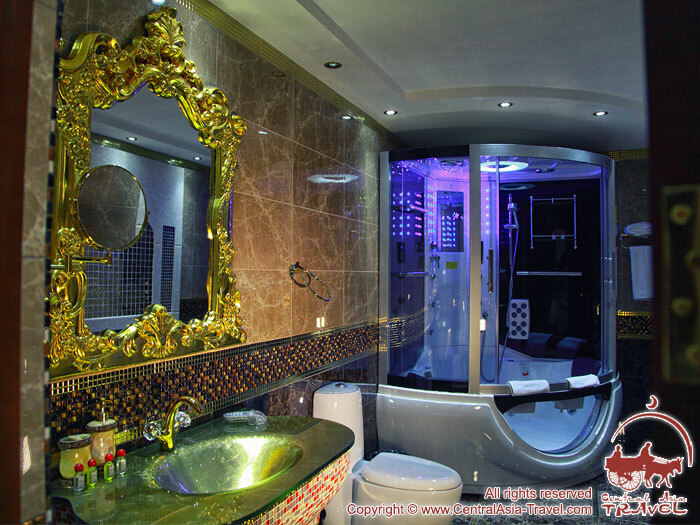 • Indoor and outdoor swimming pools will allow one to refresh their soul and body at any time of the year. 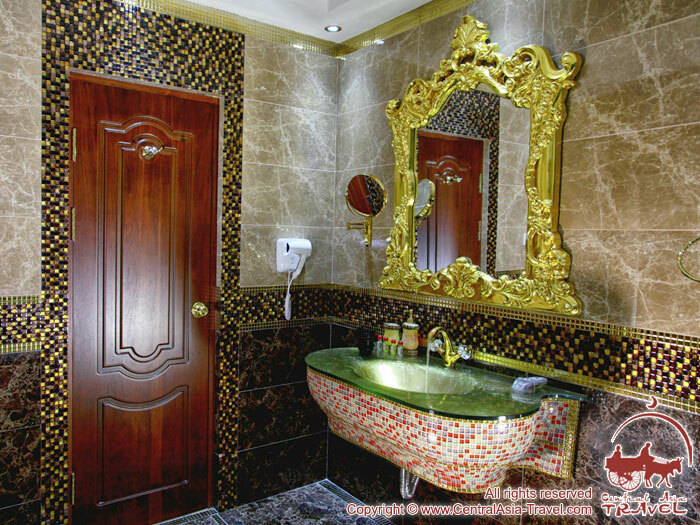 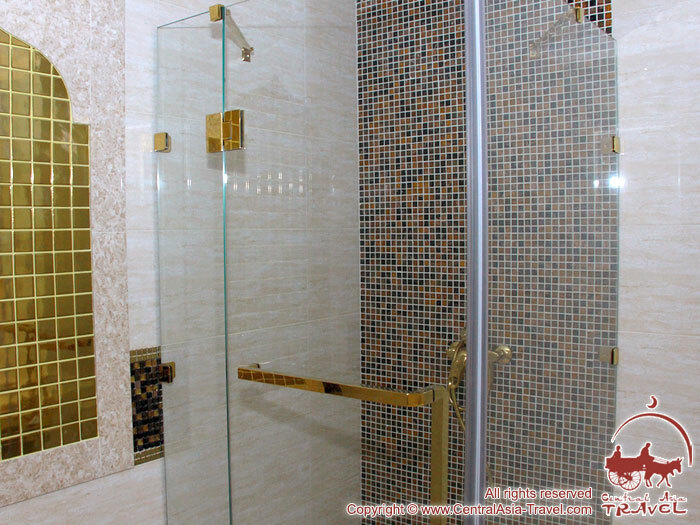 • A Turkish bath and a sauna will help one relax and recover after an eventful day. 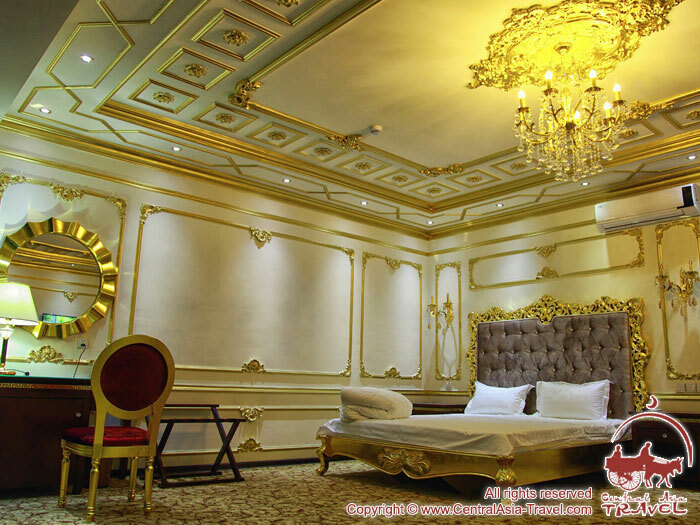 • A gymnasium has all necessary equipment both for a light warm-up and for a good drill. 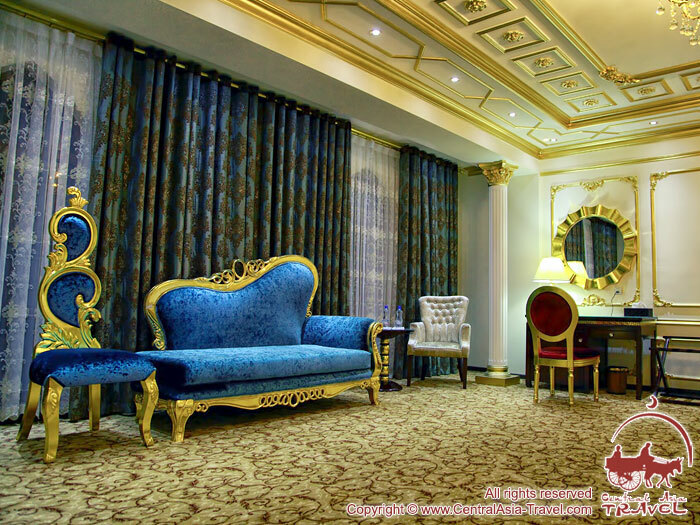 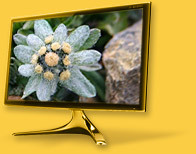 • Meeting and Banquet Facilities.